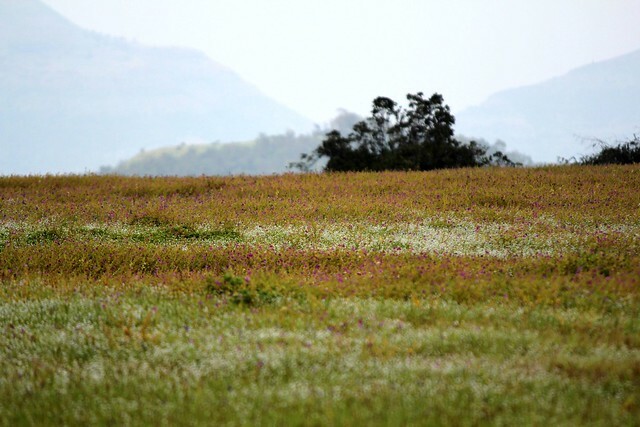 Kaas Plateau is situated in the Sahyadri range, about 22 Kms from the Satara city. It is known for various types of wild flowers which bloom during August-October every year. Kaas Plateau has over 850 different species of flowers and other plants including Orchids, Karvy and carnivorous plants also. It is a UNESCO world heritage site. Trekking among the flowers is a very unique experience. However, there is nothing much to do except taking lazy strolls through the meadows. There is also a lake on the plateau, its called the Kaas Lake.